Fluoride is one of the more powerful means that help prevent dental decay. It is a compound mineral which exists in almost all foods and even drinks like teas and water treatment plants. Fluoride continues to be fully supported by numerous professional health organizations for well over 50 years. Typically topical fluorides and the systemic fluorides are not adequate to prevent oral caries and might require additional fluoride treatments. 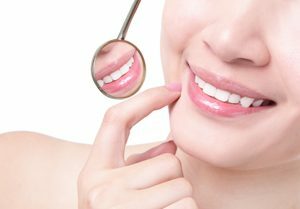 We often recommend professional fluoride therapies to help you in your prevention of tooth corrosion. You might need to supplement more fluoride into your schedule if: you have deep pits and fractures on the exteriors of your teeth, you have exposed roots that are now sensitive to temperature stimulation, you have poor oral hygienic habits, you take in too much sugar, you need more fluoride, or have an inadequate saliva production due to existing health ailments, medical treatments or medications.